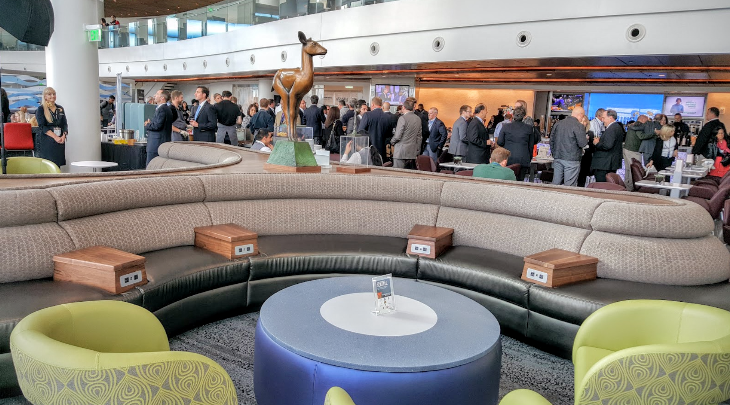 Delta Sky Club members and guests will get a new and improved airport lounge experience now that renovations are finished for the clubs at Minneapolis-St. Paul and Newark Liberty International. 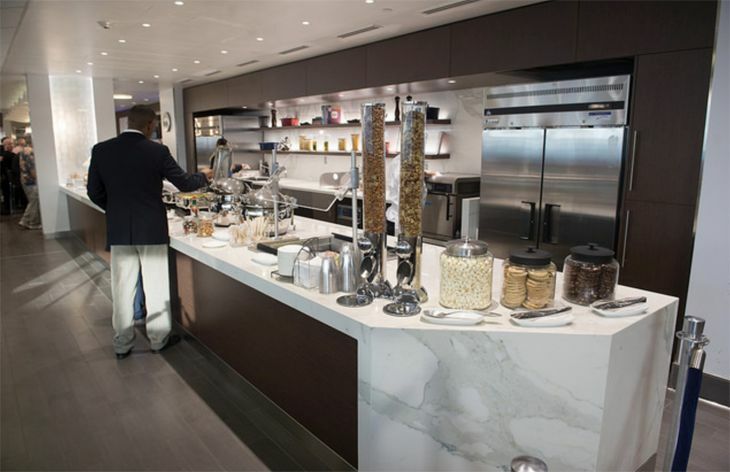 At MSP, the Delta Sky Club – located between Concourses F and G – now has an enhanced food service area and a self-service beverage area, along with Starbucks coffee. The amount of work space for members has been increased, and the seating area has been expanded. The 13,000 square foot MSP club has 340 seats. 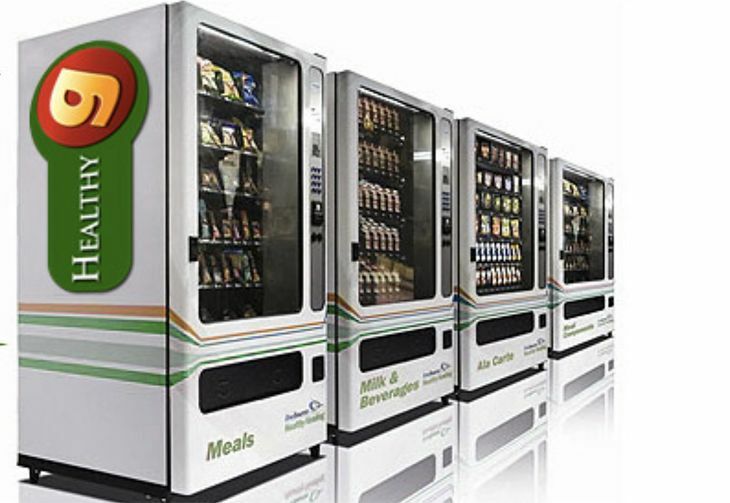 Improvements at the Newark Sky Club include a new food and beverage area and the installation of more accessible charging ports around the facility. 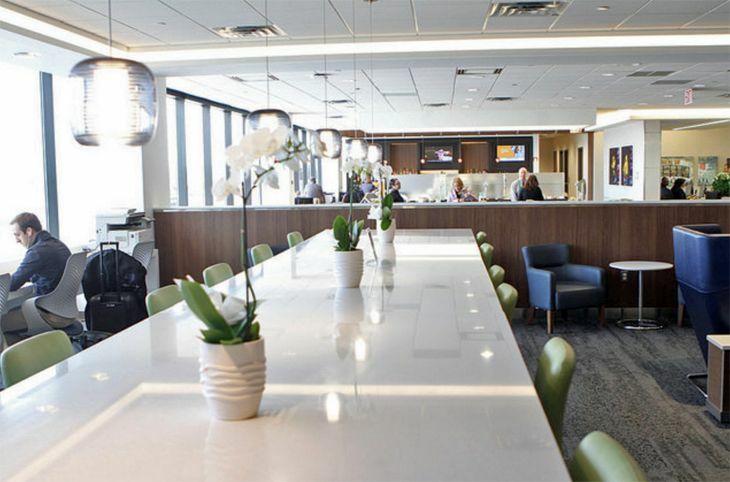 The Sky Club at EWR is post-security in Terminal B, offering seating for 160 travelers in 5,600 square feet. 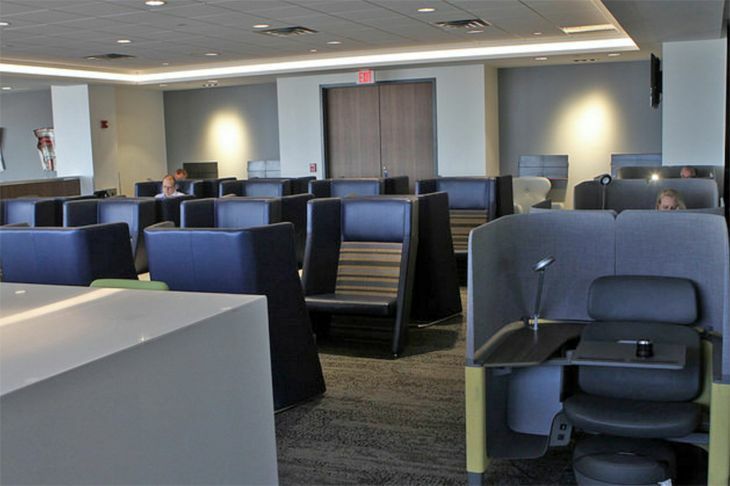 The latest Sky Club improvements come shortly after the airline finished an expansion of its lounge at Raleigh-Durham International. 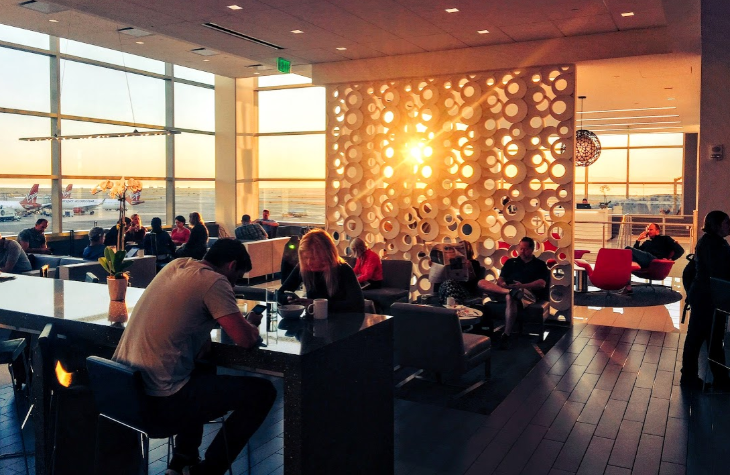 Last year, Delta opened new Sky Club locations at Denver International, Atlanta’s Concourse B and Seattle’s Concourse A. 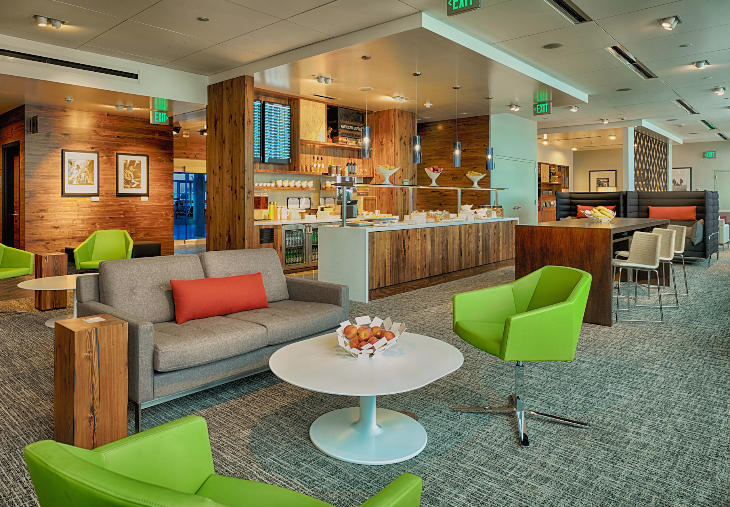 Last week, Delta opened a new Sky Club lounge at its growing Seattle hub. And what a club it is. We had a chance to preview it before it opened last Friday and we were impressed. 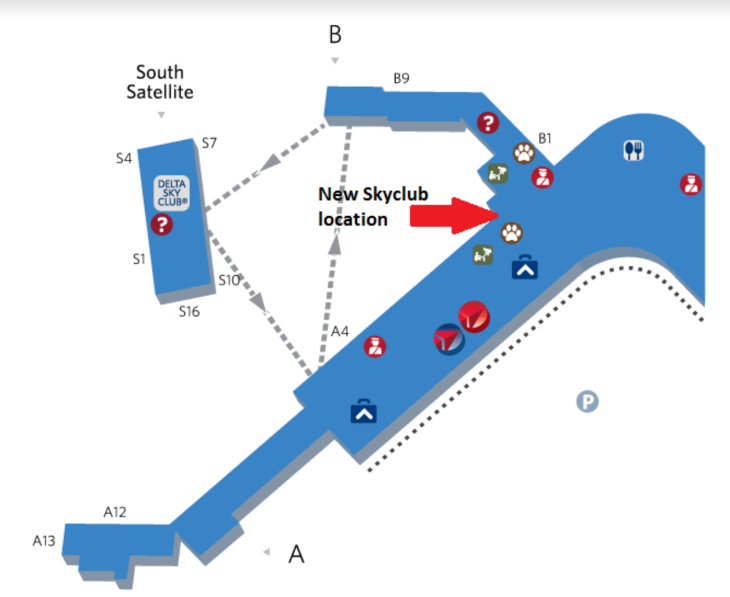 This new club is located in the main terminal between Concourses A and B, near gate A1. 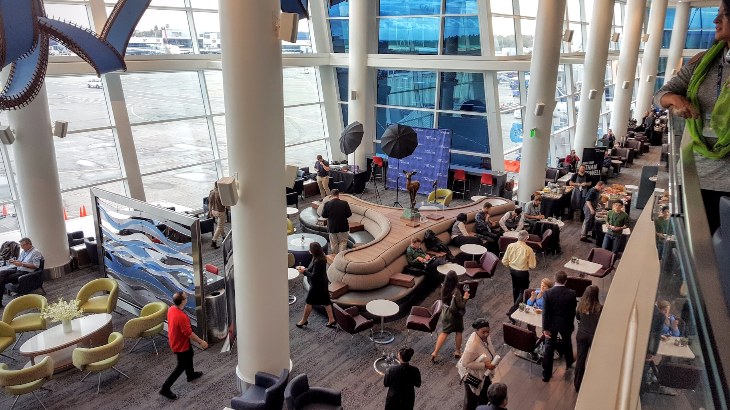 It’s the second Sky Club at SEA, complementing the existing lounge in the South Satellite terminal near gates S9 and S10. 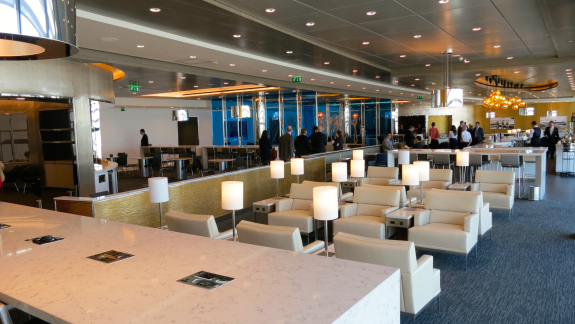 But this new lounge is far larger, newer and nicer — and definitely worth going out of your way to visit if you have enough time, even if you are flying out of the satellite terminal. 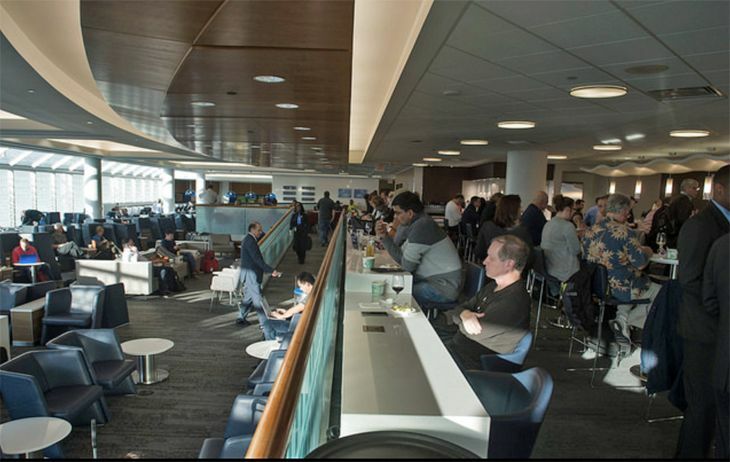 The new Seattle Sky Club is one of the largest in the Delta network at over 21,000 square feet and with enough space to seat over 400 visitors. 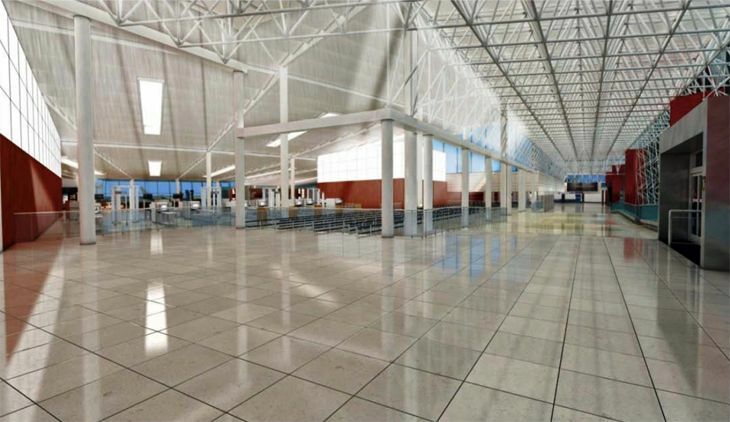 (Compare that to the new Atlanta Sky Club with 25,000 square feet and room for 500.) 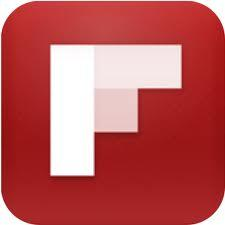 The design is modern and sleek, quite similar to the design of the also-new Delta lounge at SFO. 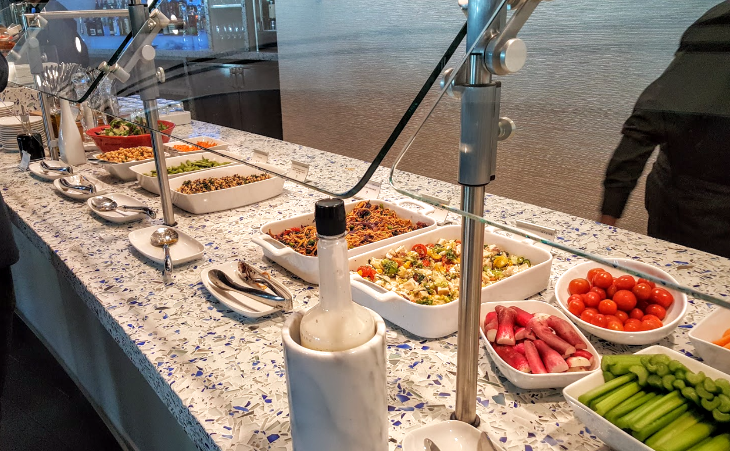 It felt more like something you’d experience at a BA lounge at Heathrow or maybe a Cathay lounge in Hong Kong in terms of it being large, light and airy, and packed with a lot of amenities. Kudos to Delta for really upping its game here. Speaking of amenities, here are the highlights: Comfortable seating and power ports galore. 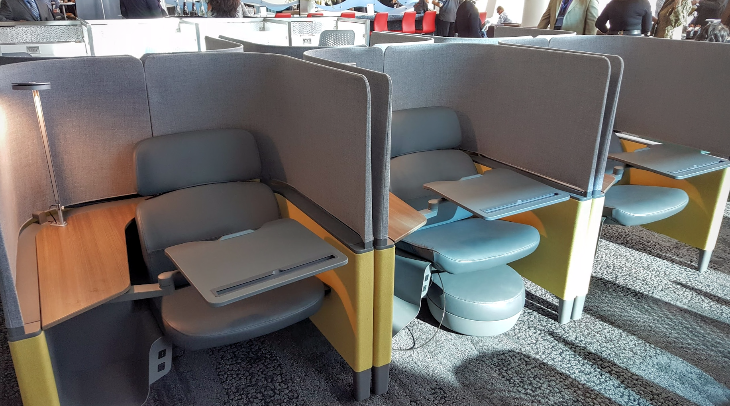 You have a choice of long, partitioned benches; individual club chairs; sleek modern curved benches that feel like they belong in the mod, vintage TWA terminal at JFK; dining table/chairs; connected seats with high walls for privacy; quad-seat cubes facing away from each other; desk workstations; private pods with work lighting and swivel table/desk; and many other varieties of club chairs. There is truly a comfortable seat for everyone in this lounge. And all seating had power outlets integrated or adjacent to the seat. 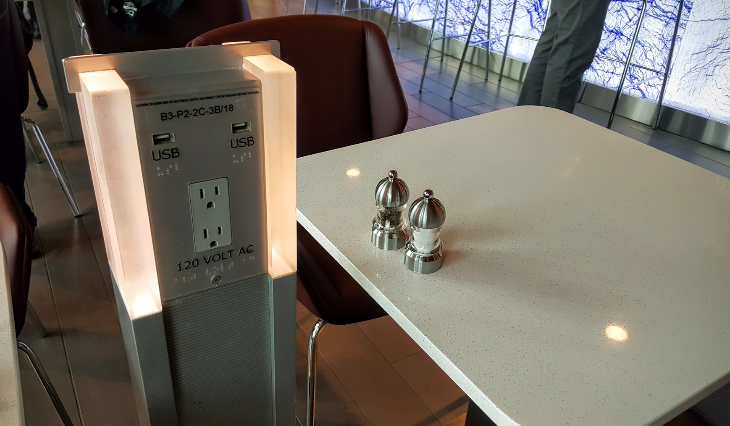 Even the dining section had clever power-port “towers” so you can charge up while enjoying the food (more on that below). A gorgeous two-story space with lots of natural light and great views of the tarmac and Mount Rainier off in the distance (or so we’re told — it was cloudy on the day we were there). Delta has incorporated local design elements throughout such as a glass wave design in room partitions, natural wood, and colors that evoke the Pacific Northwest. 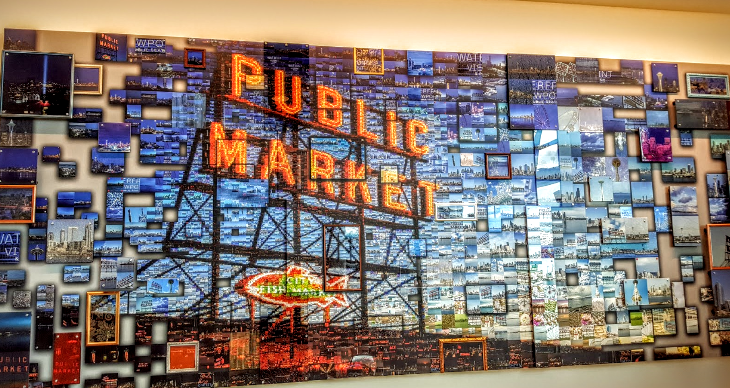 There’s also a beautiful mosaic-style mural of the famous Pike’s Place market sign made by the same artist who did the similar Golden Gate bridge mosaic in the SFO Skyclub. 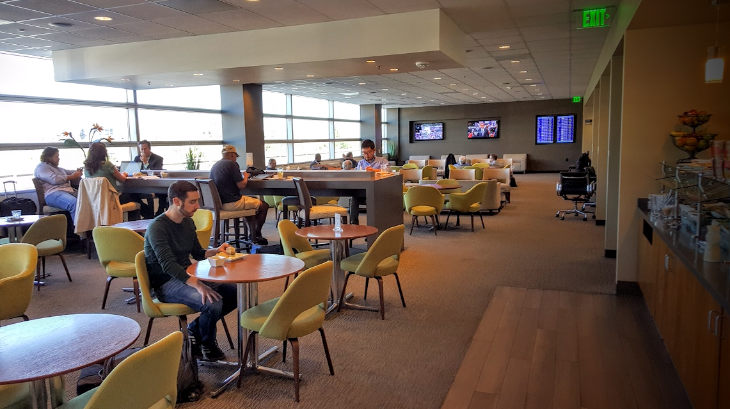 See our review of the SFO Sky Club! This will be a very comfortable place to kill time or get work done at SEA. Six private shower rooms with Malin+Goetz toiletries. There are three “standard” size rooms and three larger ones that we’re told can accommodate families if you are traveling with kids; but even the smaller rooms were large and impressive. The room has a private toilet, sink, and of course, shower area. 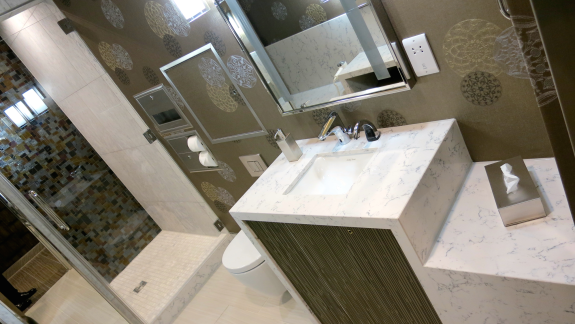 The design is very high end and just feels luxurious. Well done, Delta. 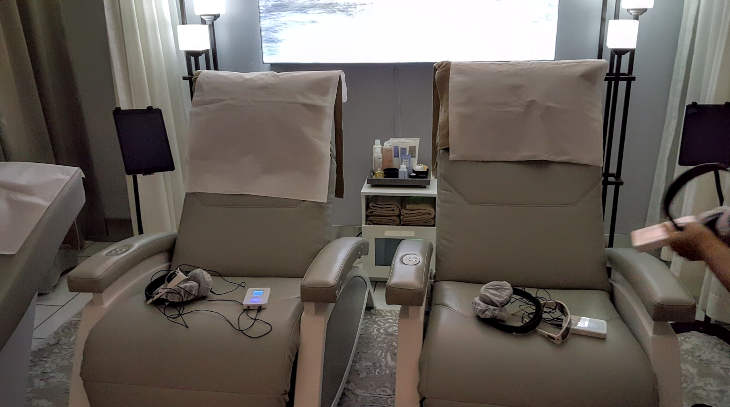 Delta’s first foray into a spa integrated into a Sky Club. It’s run by Asanda and offers chair massages and relaxation treatments, all for a fee. 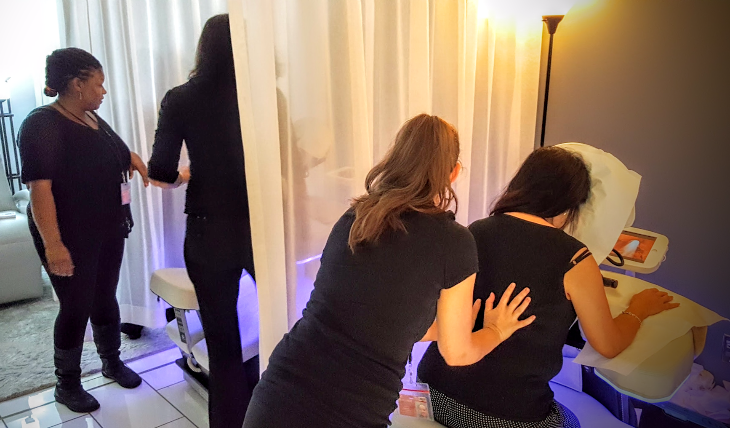 I tried a 10-minute sample chair massage and it was great (normal pricing is 20 minutes for $50 or 45 minutes for $100). I also tried samples of two of the relaxation treatments where you lie in a zero-gravity chair, but honestly, didn’t care for either of them. The first is called Nap26 and you basically listen to white noise on headphones to relax, but I could still hear outside sound and the white noise just felt a little annoying to me. The other one I tried is the Deepak Chopra Dream Weaver, where you listen to a little bit of Deepak himself speaking in a calm voice to guide you to a relaxing “other” world, then you wear glasses with embedded LEDs that blink in various colors and formations to create hypnotic visual images (you keep your eyes closed and just pick up light and patterns). The blinking LEDs sort of freaked me out and made me stressed and anxious, the opposite of the intended goal. 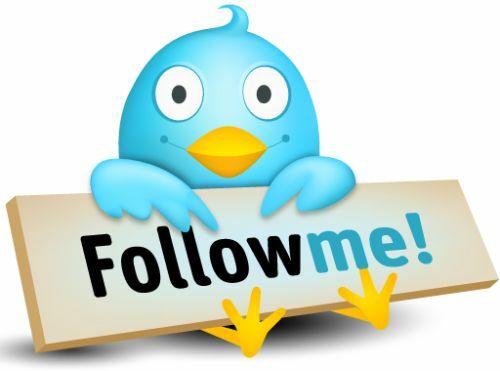 Maybe others will like it, but I would urge caution. Enhanced food and drink It seemed that there was more food on offer here than I’ve seen at other Sky Clubs, not quite the full buffet you might see at a foreign carrier’s lounge, but getting close. 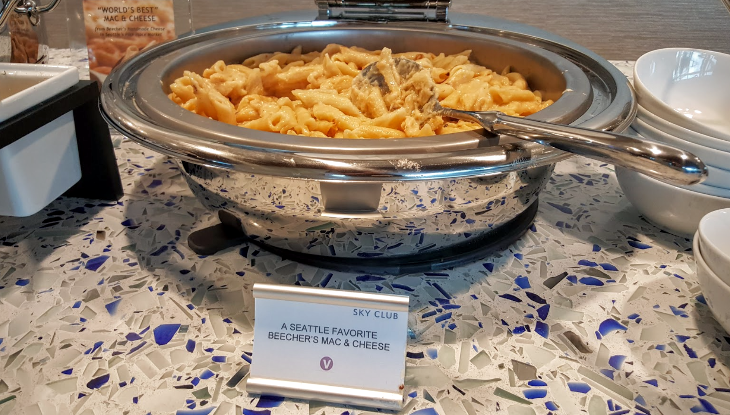 Delta says it’s partnering with chef Ethan Stowell to provide food that has a local flair to it, in addition to a mac and cheese dish from Beecher’s Cheese, which is a Seattle institution (and we can attest to it being delicious). 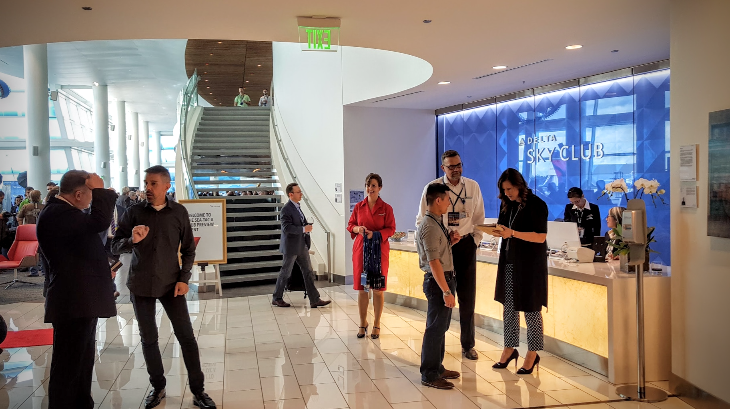 As far as beverages, it was the standard Sky Club setup of free and premium offerings, but here Delta will have Washington State wines, as well as spirits and beers from local makers. 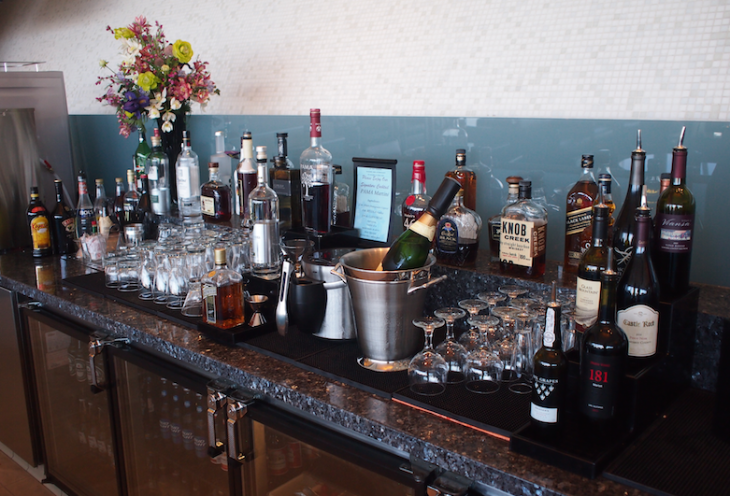 THE BAR at Delta Sky Club offers a variety of premium and complimentary options including Washington wines such as Chateau Ste. Michelle, cocktails from local distilleries including Glass Vodka, Westland Distilleries and more, Georgetown Lucille IPA craft beer, and freshly brewed Starbucks coffee. 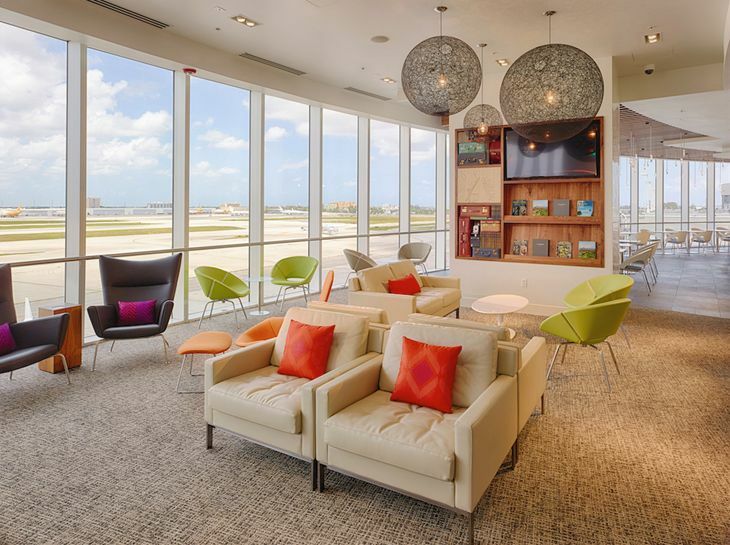 All in all, this Sky Club is a fantastic new space that will be welcomed by frequent travelers. 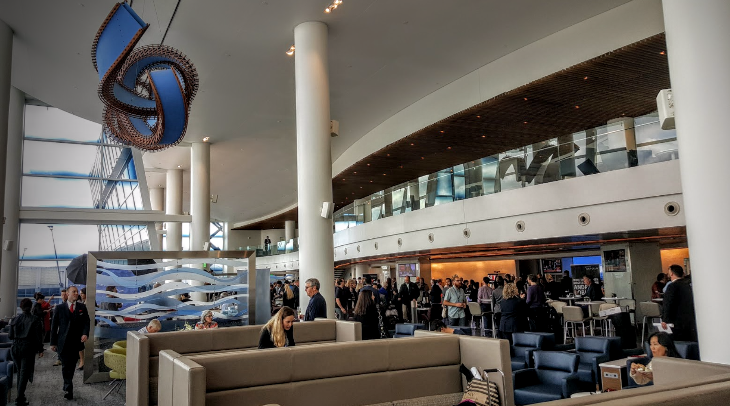 It also ups the game considerably in terms of lounge experiences offered by U.S. carriers — so American, United, and Alaska should pay attention, but even foreign carriers are put on notice. 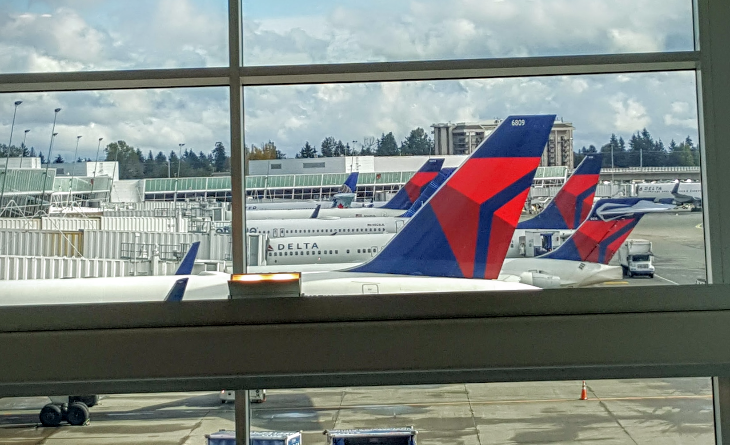 It definitely shows how much effort Delta is putting into growing its Seattle hub. For west coast flyers, Seattle is an increasingly viable option for international journeys. 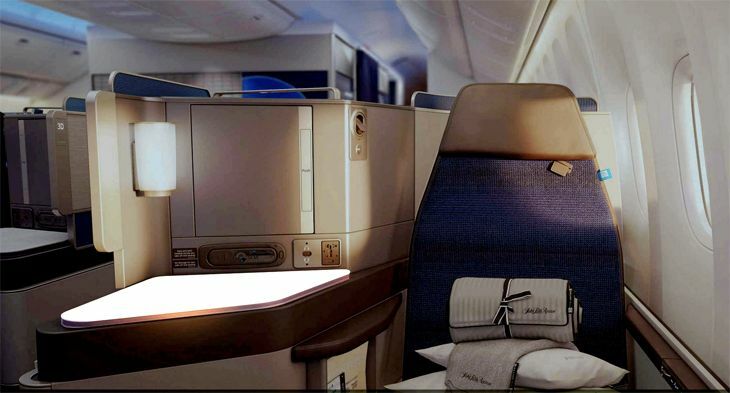 Delta flies nonstop to five cities in Asia from SEA (Beijing, Shanghai, Tokyo/NRT, Seoul, and Hong Kong) and three cities in Europe (London/LHR, Amsterdam, and Paris), with most of those airports offering tons of connections on Delta partners to get you almost anywhere you want to go. And Seattle is a somewhat efficient routing, as most west coast flights go up the coast over the Seattle area anyway to get to Asia or Europe. 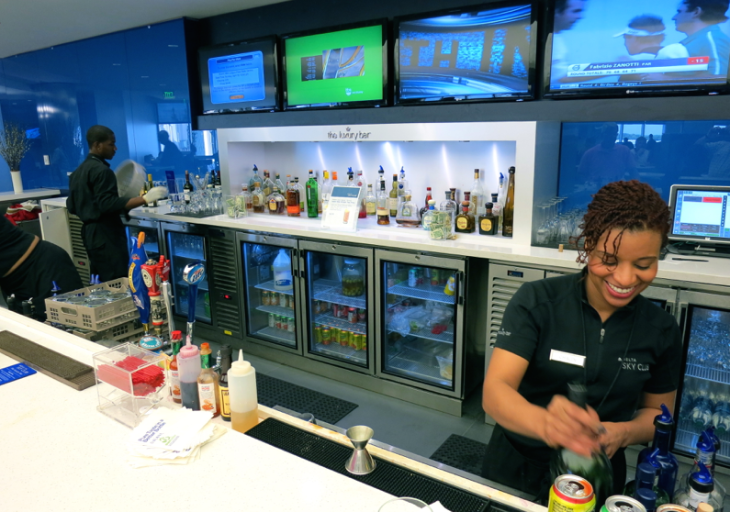 Sky Club members and certain American Express cardholders have unlimited access the club. 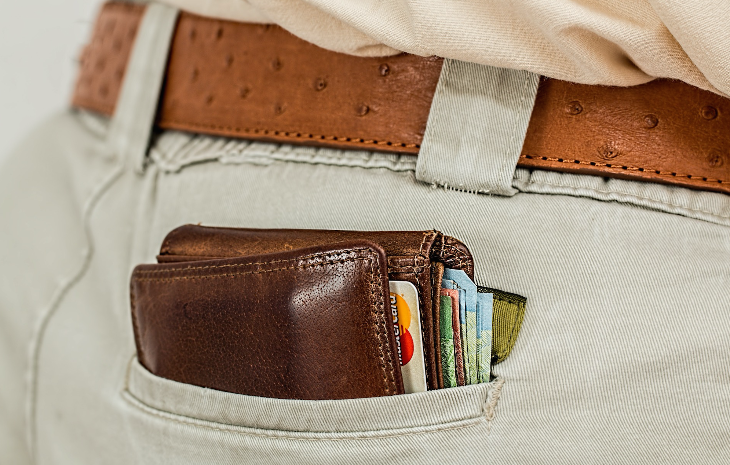 Non-members can pay a one-time fee of $59. What’s Next for Sky Clubs? A renovated Club in Raleigh-Durham is scheduled to open in late November and will offer additional seats, more accessible power and a new food and beverage area. A new Club expansion is coming to Newark in late 2016, including a redesigned bar and more food options. United Airlines moves into London-Heathrow’s spiffy new Terminal 2 (The Queen’s Terminal) today and will open up its posh new business and first class lounges to passengers for the first time. 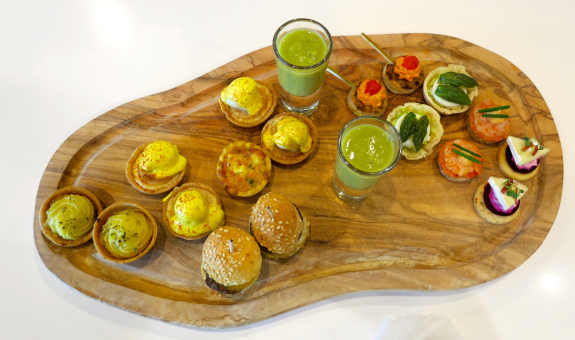 Last month United invited a small group of media folks (including TravelSkills!) 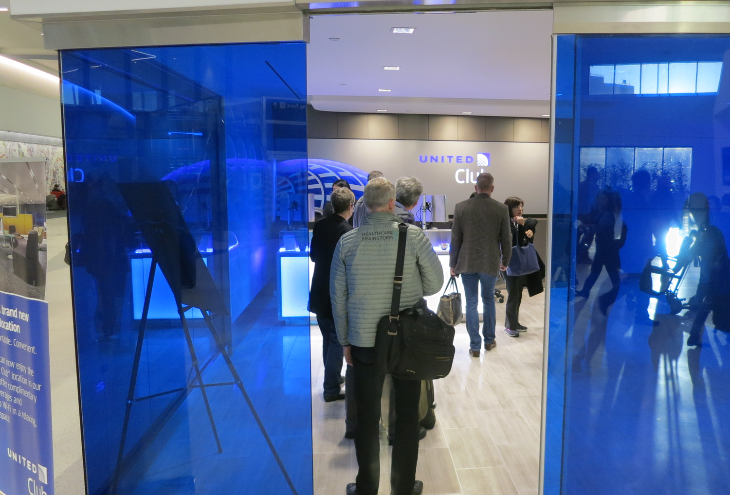 to London for a preview of its brand new United Global First Lounge and a United Club. United is the first airline to operate from Terminal 2. Starting today it will finally bringing its 17 daily Heathrow flights – currently split between Terminals 1 and 4 – “under one roof.” Later this year, the operations of United’s 22 Star Alliance partners at Heathrow will progressively move to Terminal 2, the alliance’s new home at the airport. 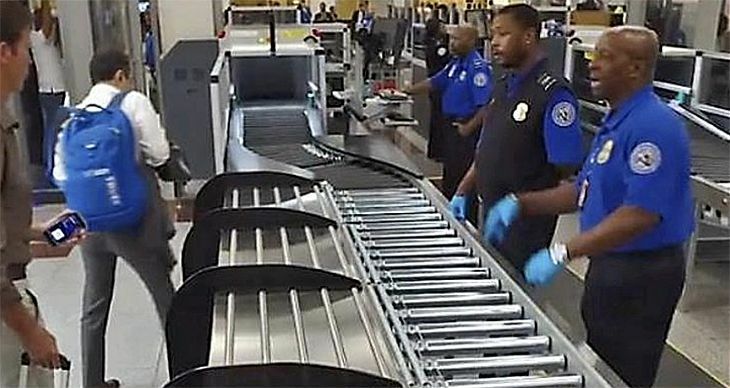 The airport is moving airlines in slowly at T2– it does not want a repeat of the fiasco that occurred when British Airways moved into the massive Terminal 5 overnight. 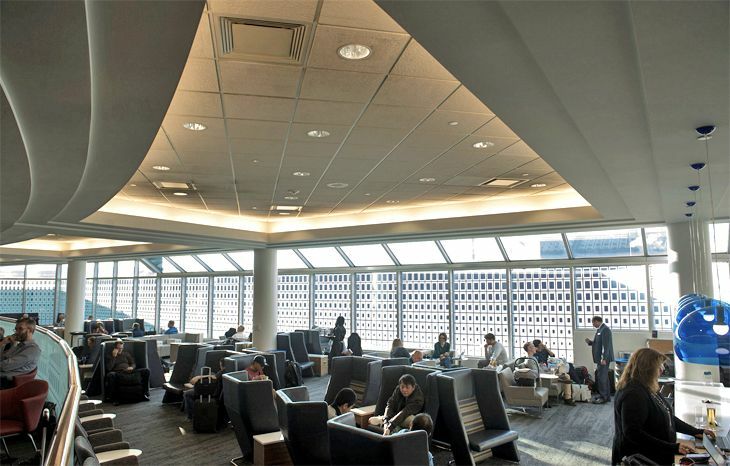 Together, the two lounges occupy 22,000 square feet of space near United’s gates in Terminal 2’s T2B satellite concourse. 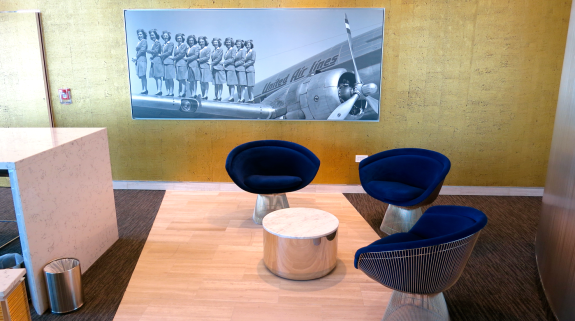 Both feature floor-to-ceiling windows with views of runways, modern décor and walls adorned with vintage black and white photos from United’s archives. Like T5, the Queen’s Terminal is comprised of a main terminal (T2A) and a satellite (T2B) connected by an underground walkway. 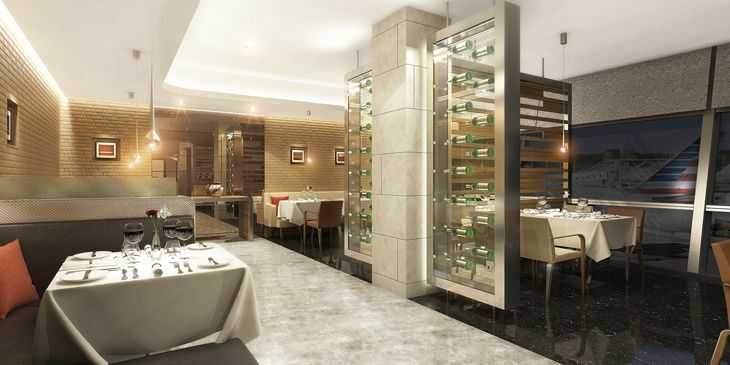 Both the Club and the Lounge will offer elaborate meals (unlike anything you’ll see stateside), plenty of high end booze, wine and, of course speedy, free Wi-Fi. It remains to be seen whether the quality and quantity of the spread laid out for the media will be the ongoing standard. 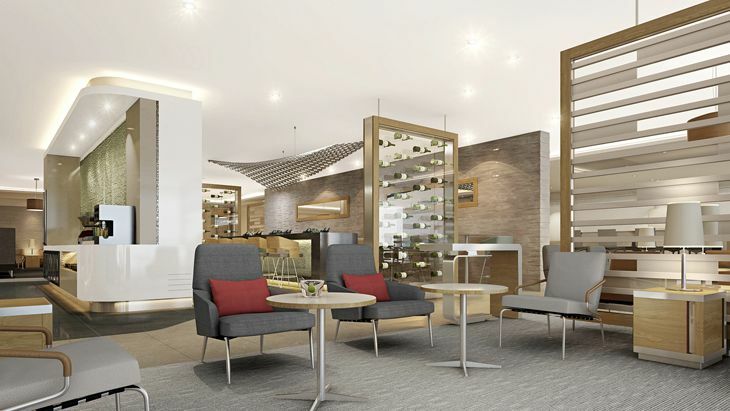 The United Global First Lounge is for United or Star Alliance customers traveling in first class. The centerpiece of the lounge is an oversized Big Ben-style clock in the tea lounge section. Other features include a buffet area, an intimate dining room, private phone booths and a quiet zone with loungers and privacy drapes. 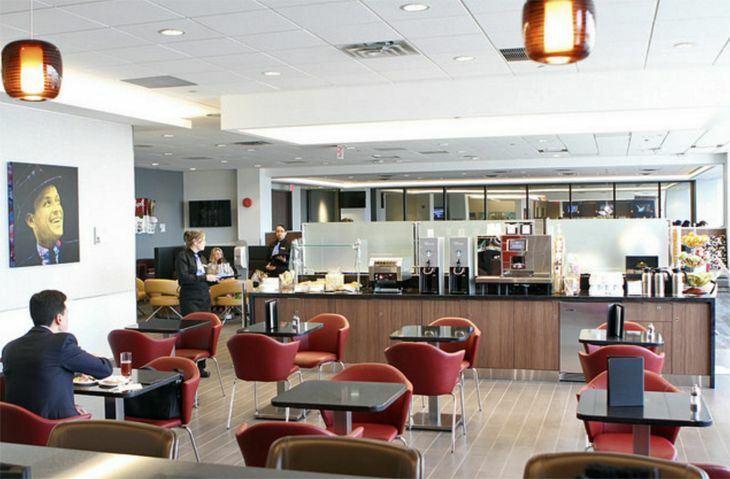 The United Club is for United Club members, those traveling in business class and Star Alliance Gold members. 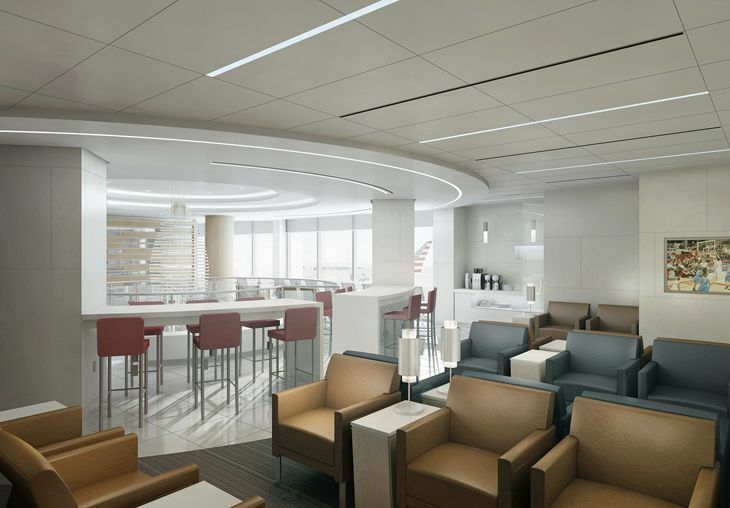 It’s the first Club outside the U.S. to feature the new United Club design concept– which we’ll likely see at SFO when the new United Club opens by T3E in 2015. 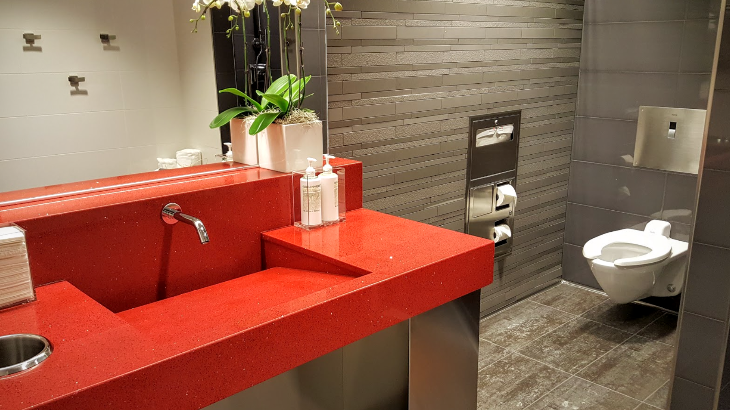 There are eight spacious shower suites with complimentary toiletries and valet service– put your suit in the valet door while showering, and an attendant will press it and have it ready by the time you dry off. While United executives would not reveal a dollar figure for the cost of the London clubs, they did say that this is part of a $50 million investment in club renovations across the system. United laid out quite a spread for the media— and we’ve yet to determine if food of the abundance and quality we saw (See slideshow) during the media visit will be the standard. Let us know what you see! 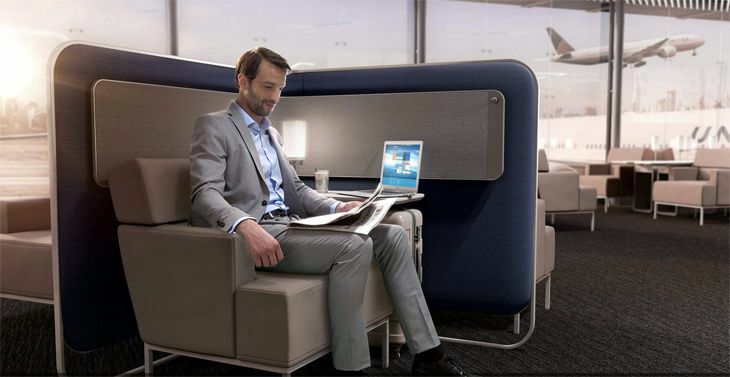 Does the addition of lounges like this make you more likely to choose United when flying to London? Please leave your comments below.